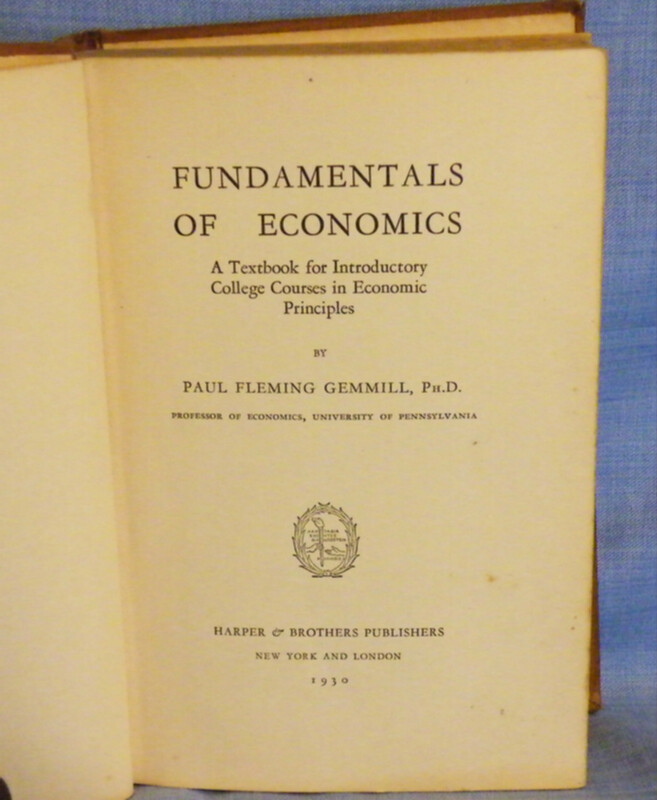 Fundamentals of Economics - IFA Vintage and Current Book Library - Index Fund Advisors, Inc.
by Paul Fleming Gemmell Ph. D.
This is a Very Hard To Find Book. Exterior cover and spine are intact and in good shape. The cover does have some stains, rub marks and bumped corners (see pictures). This Book is NOT a library book. Interior paper hinges are cracked but mesh is still intact (see pictures). Inside front cover and the first blank page has alot of pen and pencil notes, names, etc (see pictures). All other pages throughout the book are in very good condition with only a few notes here and there. Pages are 'yellowed' due to age and has some foxing (see pictures). 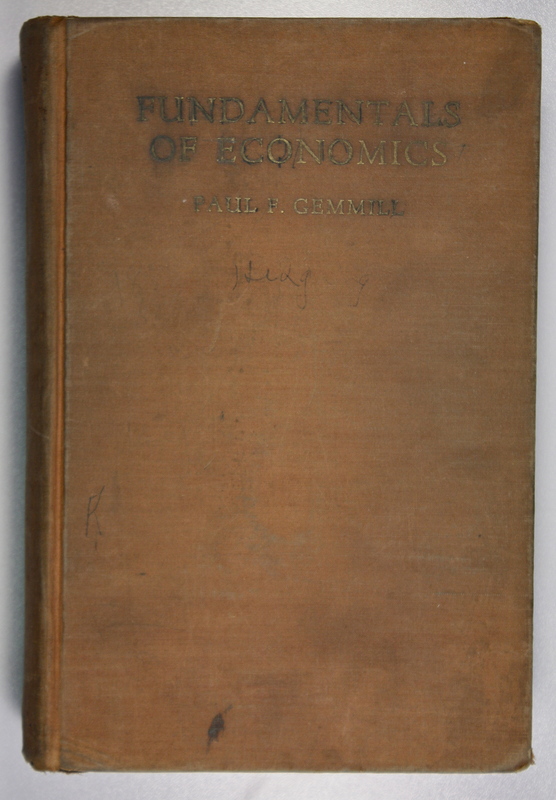 Interesting look at economics at the mid point between WWI and WWII.